Three exciting events today on the farm. In order of occurance, they are: the chickens moved to a new home, we built a prototype sub-irrigation system for our seedlings, and we seeded our first peas of the year. 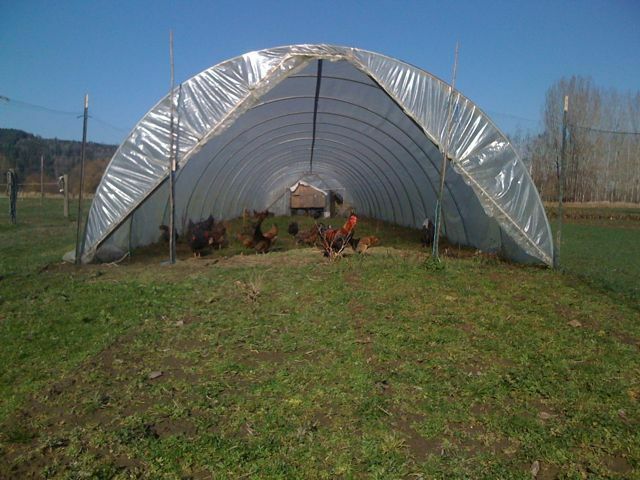 As for the chickens, we moved them from the orchard to the inside the field greenhouse. We have been increasingly worried that they’d get into the greenhouse with the arugula, radishes, etc and eat our veggies. Plus, there wasn’t much greenery left in there for them anyway. So now they have a new home, for the time being. When you eat the melons we are going to grow in the field greenhouse and you wonder why they taste so good, the answer is probably chicken manure. Yeah, that… and love. The sub-irrigated seedling waterer is an interesting thing. It’s really nothing more than a sheet of plywood with 2×4 walls and plastic covering the whole thing. 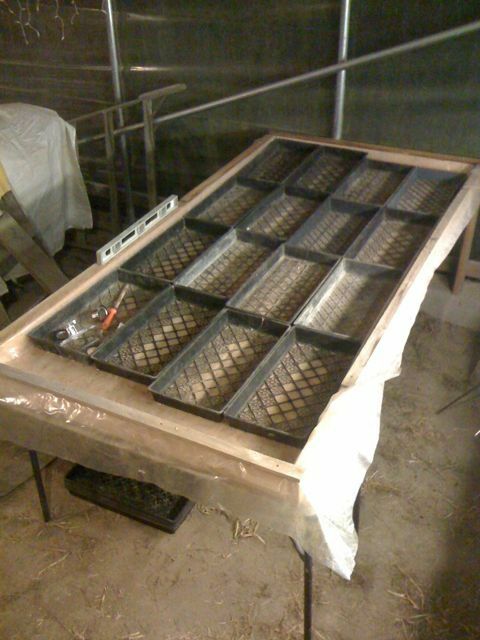 Our seedling trays will live in it and we’ll be able to fill it up with water and the seedlings will wick up water from beneath. Hopefully it’ll mean we have to spend less time monitoring our seedlings when it’s hot. Lastly, peas. 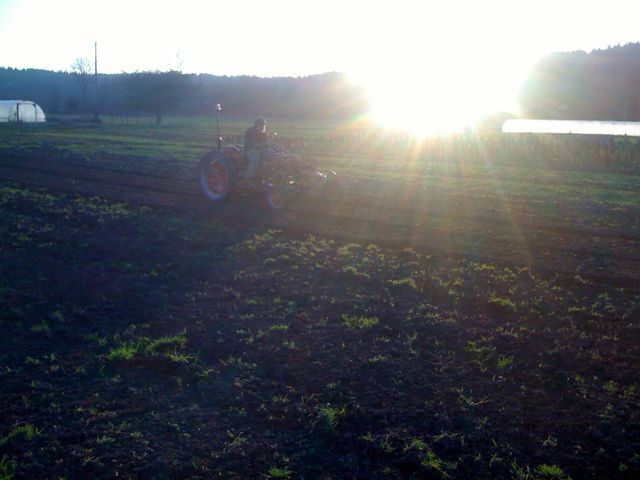 We took advantage of the phenominal weather to plant peas. This is the first seeds in the ground this year not inside a greenhouse. Very exciting!